I am a big fan of routines, systems, and principles. There’s something about order and structure that make everything better. It’s comforting, and calming knowing how your day will begin and end. When your day is structured to get your best work done, you begin every workday with a sense of clarity, purpose, and satisfaction. 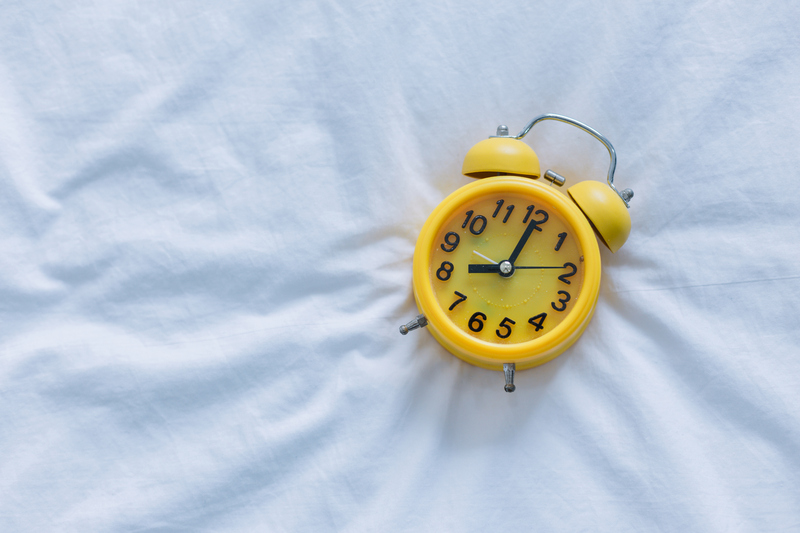 Darren Hardy, editor-in-chief of Success Magazine and author of The Compound Effectargues that a person’s morning and evening routines are the “bookends” of a successful life. When you build better morning and evening routines, you prepare your brain to be better equipped to face the varying challenges each day brings. If you swear by morning routines, you could get even more out of your day by creating an evening routine. Building routines aren’t easy. It takes self-discipline, and practice to make it work. But the good news is that once you’ve practised a routine for a good number of days it gets harder not to do them. Stick with it, and your life will never be the same. Evening routines can set you up for a for a better day tomorrow. In his book Daily Rituals: How Artists Work, Mason Currey writes about the habits, routines, and rituals of hundreds of artists, including Benjamin Franklin, Karl Marx, Charles Dickens, Pablo Picasso and Ernest Hemingway. Their daily rituals varied wildly, but routines put them in an optimal state of mind to do their best work every day. Currey came to this conclusion, after studying their habits. The close of each day is just as important as the start. Use these habits to get ready for tomorrow and minimise the resistance you encounter in getting things done every day. This is one of the most important things you can do before tomorrow morning. Planning for tomorrow changes everything. Spend your last 20 minutes every day to reflect, process, and prioritise for the next day. End your day on purpose. At home, most people get their work clothes ready, exercise gear out and ready for morning exercise, and get all the relevant documents that they need to use for the next day ready before they sleep. To prepare better, you could write down how you want to spend your morning. If you do this, you will wake up and know exactly what you need to do to make your day a success. You wake up late, can’t decide your clothes, you forget where you put your important documents for the meeting, etc. Your day will be in a mess. So always plan your morning the night before. Our lives are incessantly bombarded and interrupted by emails, texts and phone calls — much of it unnecessary — keeping us plugged in and unable to relax even when we are not working. You gotta get your brain out of “work mode” to have a better and relaxing evening. It’s easy to take your work back home or even to bed, making it difficult to fall asleep as you think over job-related problems. Give yourself a buffer period between the time you read your last email at work and the time you go to bed. Plan your evenings to help you clear your head. It will help you go to bed feeling less stressed and allow you to sleep better, with a clearer mind. The idea is to get your head out of work before you lie down to go to sleep. Create a ritual so you can detach from work the minute you get home. As soon as you step through the front door, start the after-work ritual that will help put more mental distance between you and your workday. Time with family, a simple exercise, spending time on your passion project, watching your favourite show, and reading things you could consider. Truly successful people do anything but work right before bed. They don’t obsessively check their email, and they try not to dwell on work-related issues. In his book, Drive: The Surprising Truth about what Motivates Us, bestselling author Daniel Pink suggests creating a ritual at the end of the day to help you gain control of your evening. Create your ‘shutdown ritual’ today to disconnect from the workday tonight. By creating your own ritual, one that focuses on control and positivity, you’re essentially rewriting every day with a happy ending. Create a relaxing ritual tells the brain that the working day is over. If you look at a screen all day, you need physiological and psychological resources to help you wind down. If you are mentally tired, sitting down and watching television all night is probably the least effective way to unwind. Find somewhere you feel comfortable, happy and relaxed — and spend 20 minutes there just to focus on calming yourself. It could be a place to do absolutely nothing. But it doesn’t necessarily have to be a place of solitude. “The point is it is your space to settle inner tension, allowing for the renewal of one’s coping resources, contemplation and buying time to gather thoughts,” says Prof. Mark Cropley, a leading psychologist at the University of Surrey specialising in health and stress. The most important thing to remember is to create a relaxing ritual that tells the brain that work is over. “Getting changed and having a shower as soon as you arrive home signals to the brain that you have finished for the day, as can short household chores — so long as you don’t usually see them as work,” says Prof Cropley. Reflection is a simple practice that can put things in perspective for you. That can take no more than 5 minutes a day but can have a tremendous effect on your day tomorrow. Remember to take some time to reflect on the positive moments of the day (whilst you ponder over what can be improved) and celebrate the successes, even if they were few and far between. What you did and didn’t get done? If you could have done it in less time and how would you approach it? What were the things you did that weren’t important or even necessary but felt urgent? What would you change to be more productive tomorrow? The time after work is yours to manage. Some people spend time on their passion projects and work towards their dream career or vision. Or better still, you can focus on personal development. Do you want to learn a new skill or language? It’s the opportune time you can leverage to master a new experience. Or you could improve stuff you’re good at and try to get better. Actively engage in a hobby, don’t passively sit on the couch. The daily grind can easily overshadow passion project like writing a book, starting a blog, learning a new language, starting an online business, creating art, learning an instrument, designing, learning to code, collecting and selling vintage objects etc. Using 30 minutes or less of your evening to pursue something meaningful to you will immensely improve not only your total well being but a sense of self-worth. Make time for something you have a natural interest in. Experts agree that reading is the very last thing most successful people do before going to sleep — US President Barack Obama and Bill Gates are known to read for at least a half hour before bed. Reading is a great de-stressor. It’s the perfect kind of evening ritual: it forces you to lie down and cut out the distractions. It can be whatever you want — inspiration, fiction, anything — but find some time to read and grow and put your mind in a state of learning. When you go to sleep, your brain is going to consolidate what you just read, which is pretty nice. If you prefer to read in bed, choose paper books. They will calm your brain and help you transition into sleep quicker. The potential disadvantage of a digital reader is the amount and type of light coming from screens which can be disruptive to your sleep. 7. Cut out the blue light! Blue light from tablets, laptops and smartphones interferes with falling asleep because it suppresses melatonin, an essential hormone for sleep. Devices can be very stimulating and stimulation is the last thing you need when trying to fall asleep at night. If you are going to have your computer open, in an emergency situation, try using the f.lux software. It tracks the cycle of the sun in your time zone and latitude and then adjusts your gadget’s levels of blue light to match. Or, you could dim your device. A recent Mayo Clinic study found that dimming the brightness to about 50% keeps blue light low enough to not interfere with sleep. But, digital gadgets aren’t the only culprits; to avoid blue light from your lamps, switch to bulbs that have a low colour temperature. So no screens, at least an hour before bed. It can be easy to minimize the importance of sleep, but it’s absolutely essential for optimum performance. Good sleep on a regular basis is critical to maintaining balanced mental, emotional, and physical health. Remove clutter and items that remind you of work from your bedroom.